All in all, the seeds have been sown and the saplings are taking root. The results will only be visible a few years down the line. 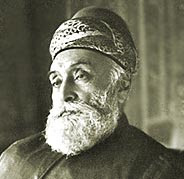 Coming back to Jamshetji, when he started off Tata, he could have barely guessed that his enterprise would be so profitable and so respected even a century later. But as highlighted earlier, it is not how much money you make, but how you make that money and how you spend it; is all the makes a difference.